The Scholarship is offered to the Asian international students who wish to pursue bachelor’s degree at University of Auckland Business School. Last Date to Apply is November 15, 2016. Nationality: The Scholarships will be awarded to international undergraduate students from any country on the Asian continent. 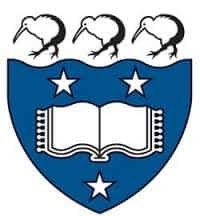 Academic Qualification: Scholarship is provided for international students who enroll full-time in a Bachelor of Commerce, Bachelor of Information Management or Bachelor of Property at the University of Auckland Business School. Scholarship will cover full tuition fees of international student and also includes compulsory health insurance. The Scholarships will be paid as a tuition/compulsory fees credit over three years in two instalments per year, one in the first semester and one in the second semester. Candidates can apply through online, till November 15, 2016. Candidates can access the application form from The University of Auckland scholarships website and also from the link given below.